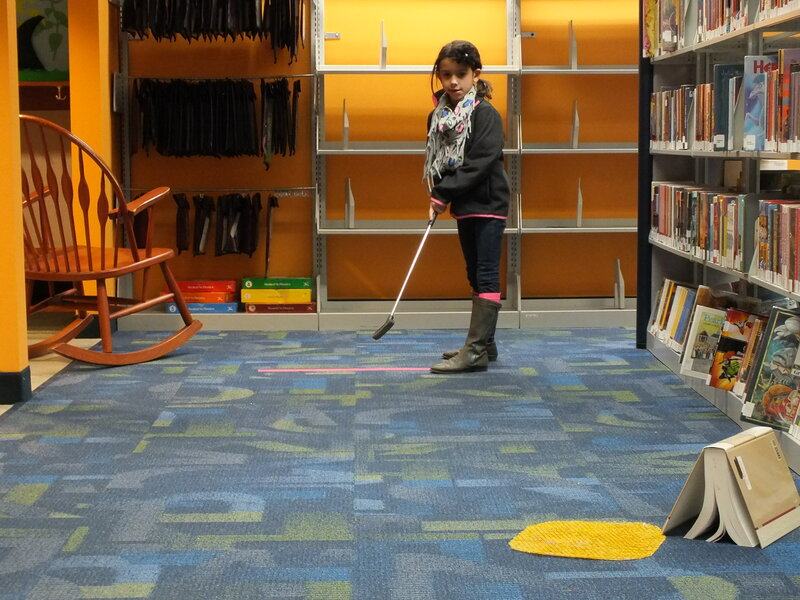 Families can play a round of mini golf on Monday, April 22, at our Main Branch. Families can celebrate Earth Day by playing a round of mini golf at our Main Branch any time on Monday, April 22. We’ll have nine holes for you to play through – all with a nature theme. Afterward, golfers can grab a cup of hot chocolate, and the winners will have their photo taken for our Wall of Fame. By the way, thanks to Dairy Queen for letting us borrow their clubs and balls. Check out other Earth Day and Arbor Day events at the library. This entry was posted in Uncategorized and tagged earth day, Mentor Public Library, mini golf. Bookmark the permalink.